In the complex and ever-changing landscape of the current Islamic capital markets, there is a need for a gathering of experts to understand and formulate innovative approaches to discover the potential and future of the most important Islamic capital market instrument: sukuk. Sukuk, also known as an Islamic bond, is the most important and widely used Islamic financial instrument around the world. In recent years, sukuk has been used as an alternative to conventional bonds because of its flexibility and security it provides to both investors and issuers. The conference will focus on the broader understanding of the instrument and will highlight certain challenges faced in the current geo political and financial environment. The programme will start with a general explanation of sukuk, in today's context, showing new perspective and innovation in sukuk investment and its potential. Throughout six sessions, Shariah, legal and finance experts will not only share their experience and their thoughts on its development in working with sukuk but also the lessons learned over the years and how to cope with certain challenges while designing the perfect sukuk. 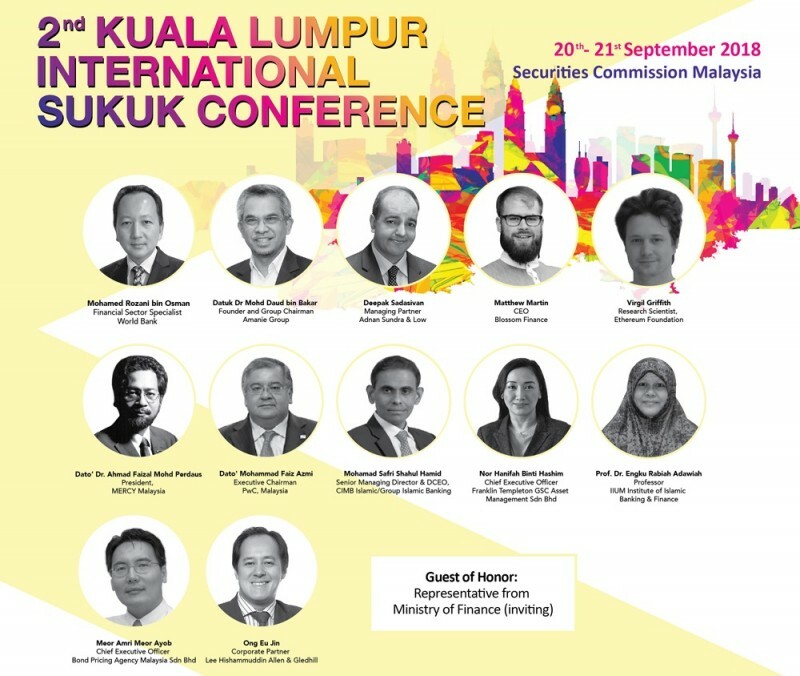 At the 2nd Kuala Lumpur International Sukuk Conference, local and foreign experts will gather for insightful discussions on core topics, which are now more relevant with the inclusion of fintech and block chain technology in the financial industry as well as discovery of the newly potential underlying asset for Sukuk transaction. These forums, unlike discussion platforms will not only highlight past experiences but will also lay the groundwork for similar conference in the future. Join us at this event to engage and network with our experts. Be a part of the future by understanding the sukuk's past and how to move forward with sukuk in the ever-changing global capital markets and financial industry.